April 30, 2014. 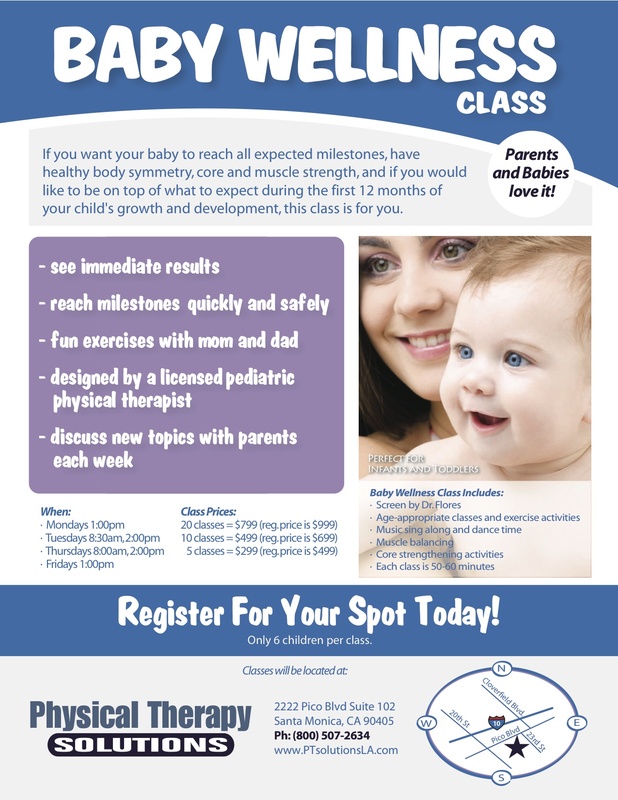 Early Head Start, FYI's for New Parents, Gross Motor Milestones. Leave a comment. October 19, 2011. Tags: gross motor delays, Pediatric Physical Therapy, twin torticollis. Gross Motor Milestones, Testimonials. Leave a comment. A couple months back, I wrote an article on the impact ‘Rocky Rocky’ has on helping little ones learn how to crawl. For details on this safe and effective exercise technique, please review the article. I’ve since received a video that a Mom took of ‘Rocky Rocky’ in action and Mom was happy to have me share this with you. Remember, crawling is a significant milestone that promotes greater core strength, greater spine stability and better coordination between arms and legs. I always get the question, ” Is it OK if my child skips crawling and goes right into walking?” My answer has always been that there are many young ones that skip crawling for one reason or another, but if parents can guide their child toward NOT skipping crawling, their child will derive the benefits of this significant milestone. Enjoy the video and know that we are here to help! October 19, 2011. Tags: crawling, gross motor delays, milestone, Pediatric Physical Therapy. FYI's for New Parents, Gross Motor Milestones. Leave a comment. Babies typically learn how to crawl anywhere between 9 to 11 months of age. There are a multitude of factors that can result in an early crawler versus a late crawler. Body size/weight, muscle tone, and even personality contribute to achievement of this significant milestone. Body size & weight: if a baby is larger than average body or head size, it is harder for him/her to pick up that weight against gravity. When positioned on hands and knees, gravity makes it challenging to pick up the head and hold it up. In addition, gravity challenges the center trunk muscles, requiring one to be able to lift the mid-spine and abdominals up against gravity. We typically see drooping of the midsection in babies learning to maintain the ‘rocky rocky’ (hands & knees) position. Lastly, a certain amount of shoulder and hip stability needs to be present in order for one to maintain being on his/her hands and knees for any length of time. Muscle tone: Some babies are born with a little less or a little more muscle tone than what we consider to be normal. In babies with high muscle tone, they feel stiff when you pick them up or handle them. They usually prefer keeping their arms and legs straight with not much bend, or they prefer keeping their arms and legs in one position, making it difficult for you to bend or extend their limbs. In babies with low muscle tone, they feel like putty when you pick them up or handle them. Sometimes, its difficult to pick them up under their arms because they don’t keep their arms down as you lift them. Also, if you sit them, they slouch and if you place them in the rocky rocky position, their mid-section slouches down. In babies with low muscle tone, crawling is typically delayed as they need more time and development to build up muscle strength and muscle tone. Personality: All babies demonstrate preferences at an early age. Some are very easy going, kicked back and do not complain much. Other babies are sensitive. Other babies are eager to explore their environment. Babies that are easy going may become delayed crawlers if they don’t show interest in exploring their environment in the tummy time position. They may need encouragement engaging in tummy time and rocky rocky activities. Babies that are sensitive may cry every time you place them on their belly or in the crawl position. If this is the case, it makes it difficult for parents to engage them in daily activities that result in good strengthening and body stability required for crawling. Babies that are eager to explore their environment will usually disregard the strength difficulties of being in the face down position and by default will get stronger earlier than their peers. They typically are the ones that crawl sooner than later. Placing your baby in the ‘rocky rocky’ position for the first time will tell you alot. First of all, if your baby resists being in this position, they may not be ready for it. If your baby allows you to hold them as they weight bear through their hands and knees, they are ready to explore this new position with you. ‘Rocky rocky rocky’ essentially is the forward to backward weight shifting of your baby’s weight over their hands and then their knees while being supported. We often sing ‘rocky rocky rocky’ as we help one move their body forward and backward while in this position. This play position is highly effective in doing several things: 1. It provides a positive experience for one that will eventually take to the position and movement pattern and start doing it on their own. 2. It is an opportunity to strengthen the core muscles, the shoulder and hip stabilizers and develop good neck strength. 3. It boasts confidence, thereby enabling one to start reaching forward with one hand, and eventually crawling on their own. If your baby is not crawling by 11 months and you would like to learn this technique, we are here to help! July 8, 2011. Tags: baby core stability, crawling, gross motor delays, Pediatric Physical Therapy. FYI's for New Parents, Gross Motor Milestones. Leave a comment.